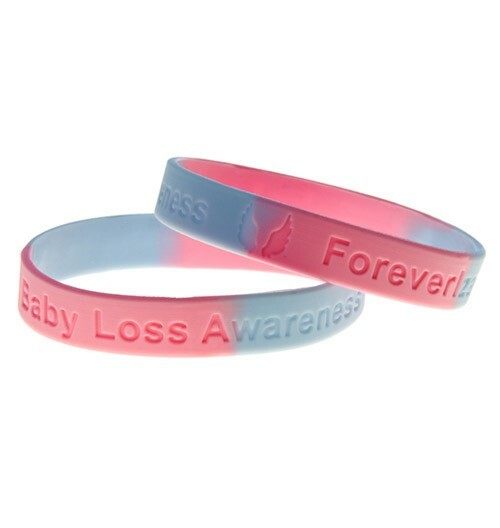 Exceptional quality multi-coloured debossed silicone wristbands with colour filled text. Note:Full pricing details are available in the pricing table below. 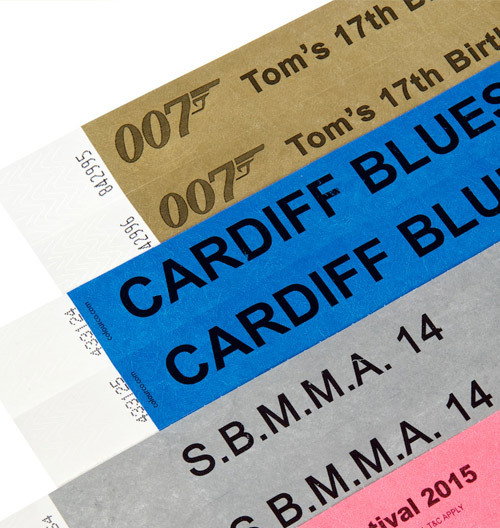 Design online colour sectioned & filled debossed silicone wristbands. Two colour (sectional) debossed and colour filled silicone wristbands are a fantastic option for getting your message out there. These are great if you want not only your message out there but also high visibility for your charity or corporate colours too. They are the perfect promotional product to help to raise even more awareness of your cause or campaign. Our colour sectioned silicone wristbands can have more than two colours and multiple sections depending on how you want them designed. 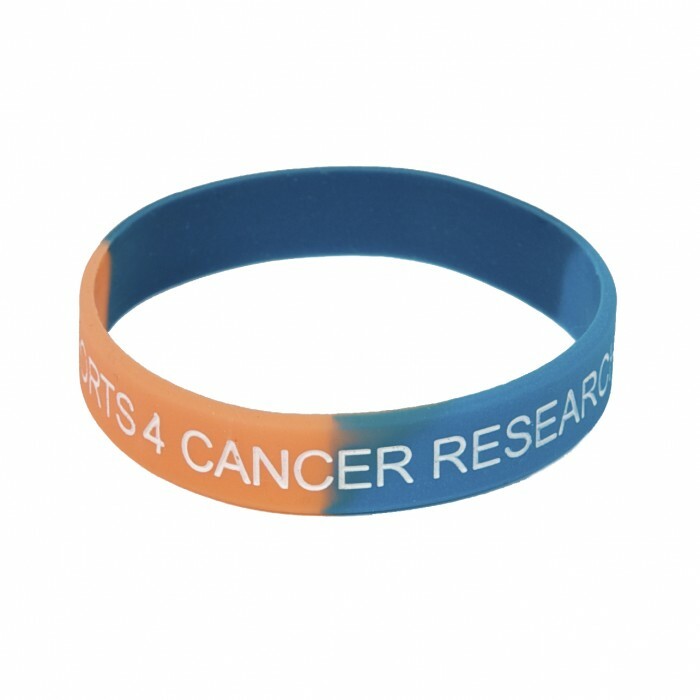 Choose two colours on the wristband with debossed & colour filled text and/or logos providing a contrasting text style where the text is sunk into the wristbands and colour filled with your choice of colour. 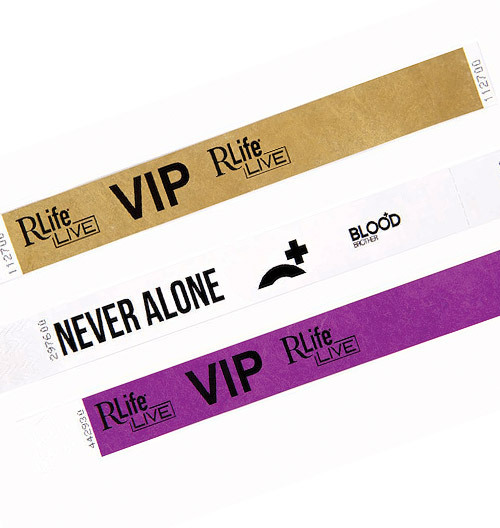 The sectional wristbands are available in more than two sections if required. Prices exclude delivery & VAT. UK delivery is approximately 2 weeks from artwork approval for debossed & colour filled silicone wristbands. Orders up-to 1000 units can expect to pay £10 for UK delivery. Order over 1000 units and we’ll deliver them for free. Pricing table for our colour sectioned, debossed & colour filled.